In partnership with Georgetown University’s Berkley Center for Religion, Peace, and World Affairs,the American Pilgrimage Project invites people of diverse backgrounds to sit and talk to each other about the role their religious beliefs play at crucial moments of their lives. 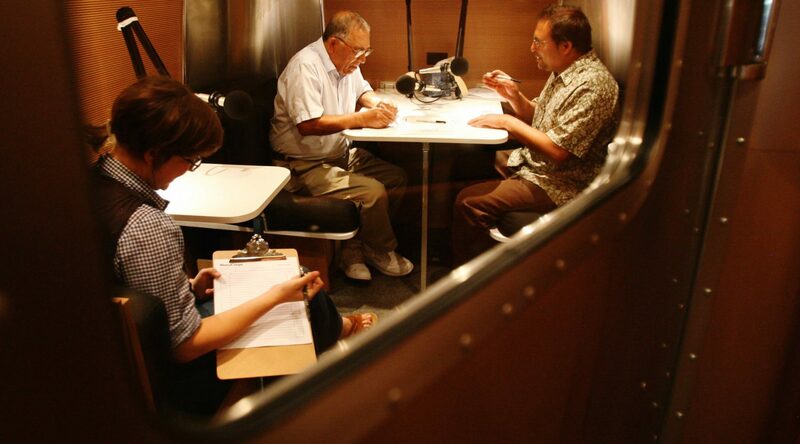 StoryCorps has recorded more than 130 interviews across eight cities. These conversations represent the variety and vitality of stories of faith, and deepen our shared understanding of the particularity of religion in America. 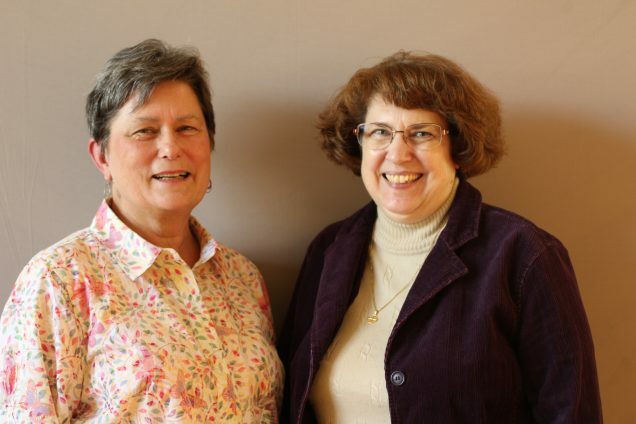 Monique Venne (right) tells her friend Linda Wilcox (left) about her evolution becoming a woman priest in the Roman Catholic tradition. Monique was ordained a priest in 2011. When she was ordained, she was automatically excommunicated from the Church. The Roman Catholic Church’s canon law has always banned women priests, citing that only baptized males can be ordained priests. But in 2008, the Vatican issued a decree that made the ban much more explicit—it punished women priests and the bishops who try to ordain them with excommunication from the Church. Even though Monique is under the official penalty of excommunication, she continues to work and pray for the day when the Roman Catholic Church accepts women as priests. Listen here. 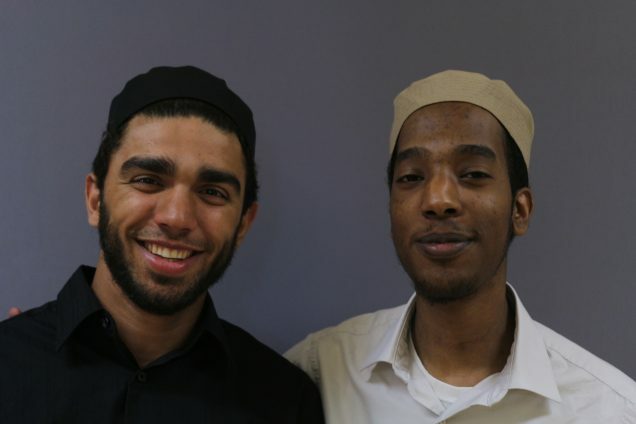 Khalafalla Osman (right) and Azmad Din (left)—both 20 years old—talk about what being Muslim means to them, and how Islam is a lifestyle that influences all their actions and thoughts towards others. They understand that Islam is a very misunderstood and criticized religion in the United States. The two discuss how they have dealt with post-9/11 Islamophobia, and how they have responded to ignorance. Listen here. Recorded in Albany, New York. 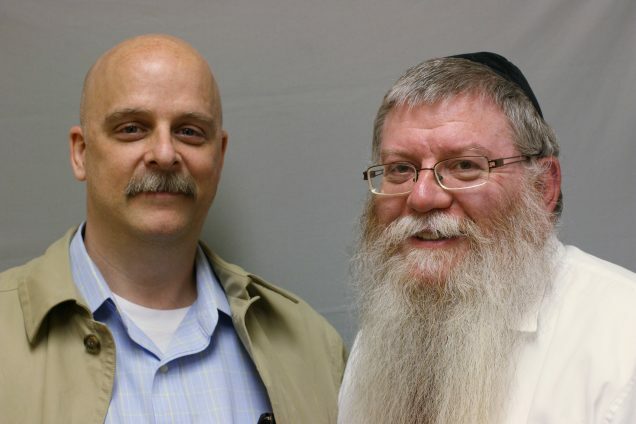 Rabbi Yehuda Weg (right), founder and leader of Tulsa’s Chabad community, talks with his friend and congregant, Howard Bergson (left), about growing up in the Hasidic community in Brooklyn, and the culture shock he experienced when he moved to Tulsa, OK. Rabbi Weg and his wife Etel moved to Tulsa and established the Chabad House in 1987 to help Oklahoma’s Jewish community learn more about their religion and identity. Rabbi Weg talks about what he has learned from the people he has met in the region. Listen here. Rev. 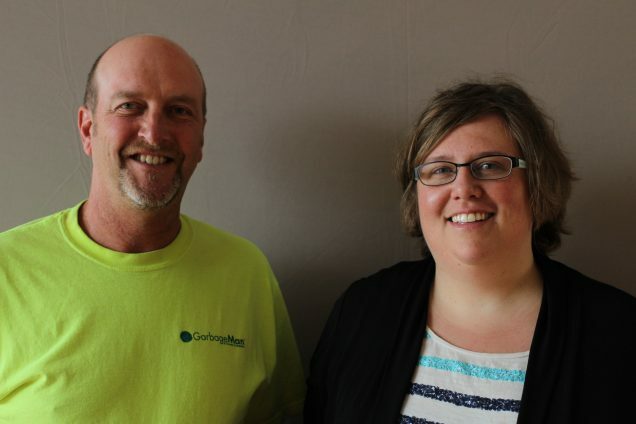 Dr. John “Garbageman” Marboe is a pastor, a professor, a trash hauler, and a blogger—he preaches at Zion Lutheran Church, teaches at the University of Minnesota, and picks up garbage on the streets of St. Paul. He speaks with his colleague, Sonia Austen-Anifrani, about his many roles in life, how they inform and complement each other, and the life lessons he has learned through picking up trash. Listen here. 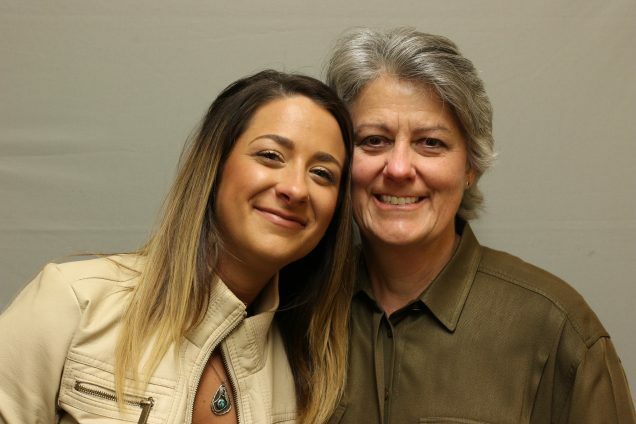 Kristine Runfola and her mother Rachel talk about Kristine’s drug addiction, her path to recovery, and the ways the experience has shaped their lives. For about three months during her addiction, Kristine was homeless—Rachel had practiced tough love and told Kristine that she wasn’t welcome at home. Kristine describes a spiritual moment she had when she realized she was responsible for her own actions. At the time of the conversation, Kristine is working to become a social worker so that she can help others who struggle with addiction. Listen here.